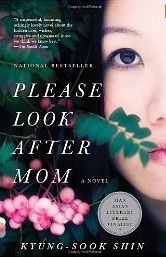 The November book selection is Please Look After Mom by Kyung-Sook Shin. When sixty-nine-year-old So-nyo is separated from her husband among the crowds of the Seoul subway station, her family begins a desperate search to find her. The story is told through the voices of So-nyo's daughter, son, husband, and mother. Annie Liu put a copy of the book at the Reserve Desk in the library under LIBRARY Ishibashi if you'd like to check it out.